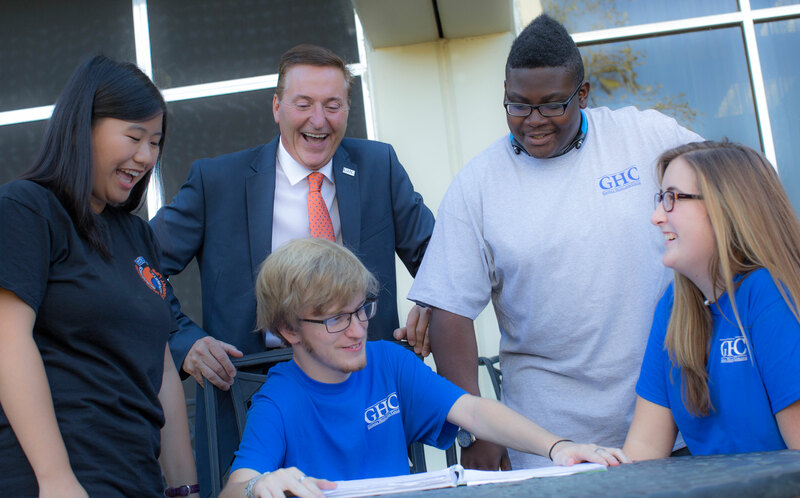 Around 25 students took advantage of a college success workshop organized and led by Georgia Highlands College President Don Green. The four-week workshop took place at the beginning of the semester. Dean of Natural Science and Physical Education Greg Ford and Dean of Health Sciences Michelle Boyce also worked with the students. The pilot workshop set out with four specific goals for the students to achieve by taking part. Those goals were: define your vision, set short term and long-term goals (personal and professional), learn how to achieve those goals, and introduce effective learning skills and strategies. President Green said learning these fundamentals early on in college can make a huge difference in a student’s life. Green explained that college was very new to him and his attention was not on his studies the way it should have been, preferring more to play basketball than read or do his assignments. Later, he was even put on academic probation. Green stated he immediately shifted gears and took his college work more seriously, taking more notes, reading his books, and doing more work than was assigned. On top of all that, he made regular visits to the tutorial center. Dean Boyce said the four weeks really made an impact on the students who participated. The group discussed ways to effectively network and how to create a strong support system. Dean Ford also did a neuroscience/brain biology presentation to demonstrate how to improve the retention of information. “Our goal is to share our knowledge and experience to give students the tools to create an individualized learning strategy to improve success,” he said. Director of Academic Success Jennifer Hicks, Douglasville Site Director Julia Areh, and Campus Dean Leslie Johnson were also key in organizing the workshop and look forward to expanding and getting more students involved in the future.